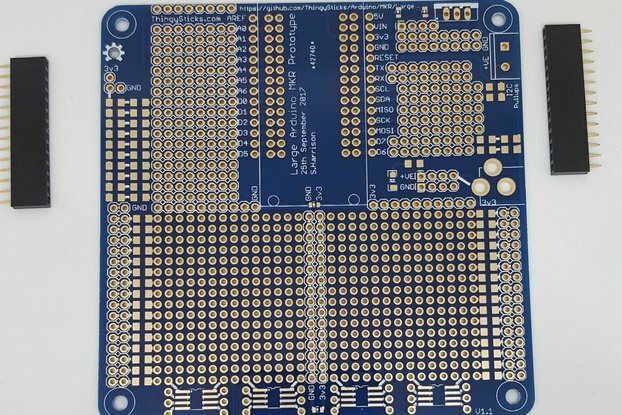 Prototype PCB for the Particle Electron. 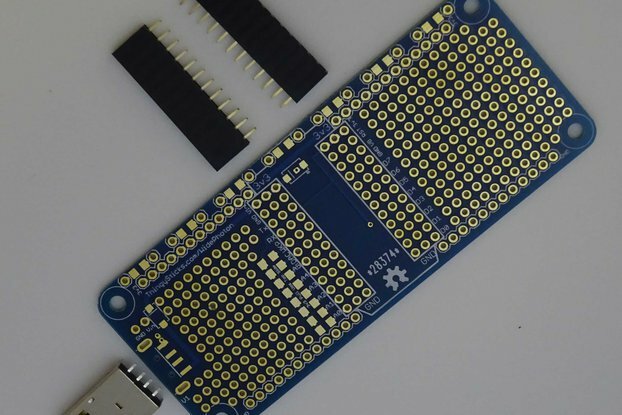 Create more reliable prototypes with this PCB for the Particle Electron. Prototyping PCB for Electron from Particle.io. 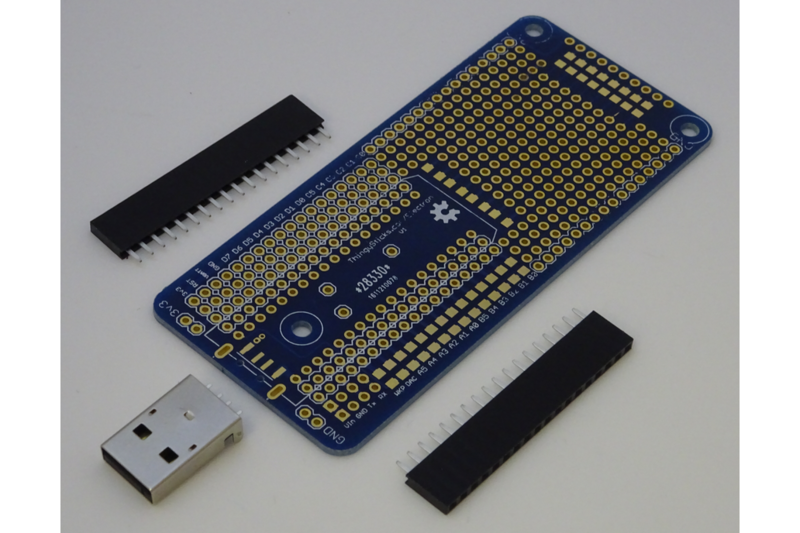 It allows you to create a more permanent and reliable prototypes than breadboard and to securely mount the prototype in a case. 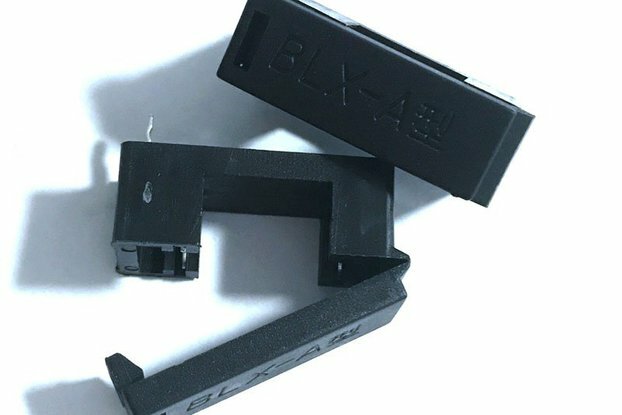 2x 18 Way headers to mount the Electron so you can remove it easily if needed. Breadboard prototypes are very fragile, it's all to easy for a wire to come out and then difficult to figure out where to put it back. 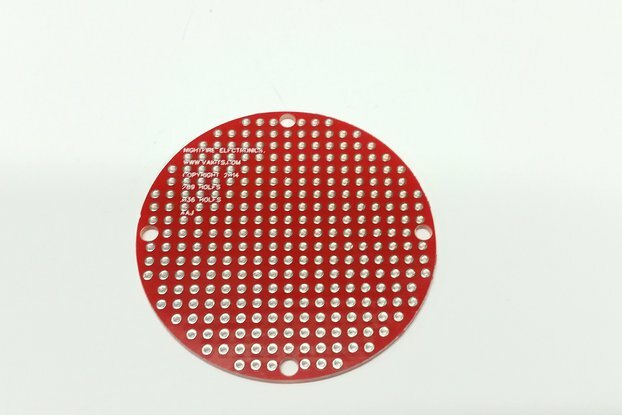 This PCB allows the wiring to be soldered on along with the components for a more reliable circuit. 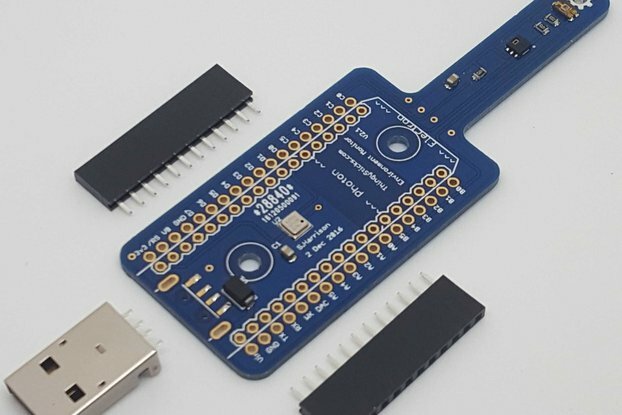 To make a more permanent usable project it needs to be mounted in a case, breadboard is far from ideal and the other option is a dedicated PCB which becomes expensive. 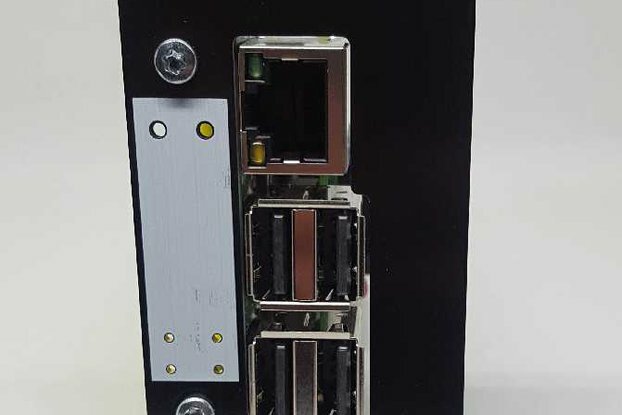 A USB A plug can be mounted onto the PCB allowing the prototype to be plugged directly into a USB power outlet (PC, Wall brick, battery etc.). The Electrons A and B inputs have 3v3 pull-up 1206 pads (PCB top layer) and pull-down 1206 pads (PCB bottom layer) to GND, this makes it easy to create a potential divider on the analog inputs for resistive sensors such as LDRs, thermistors, variable resistors etc. 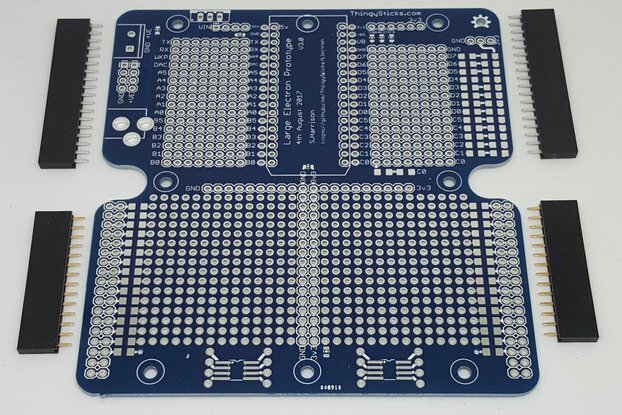 8x 1206 pads at the end of the PCB (top and bottom) for LEDs, resistors, capacitors, input protection (inductive filters, resistors etc). 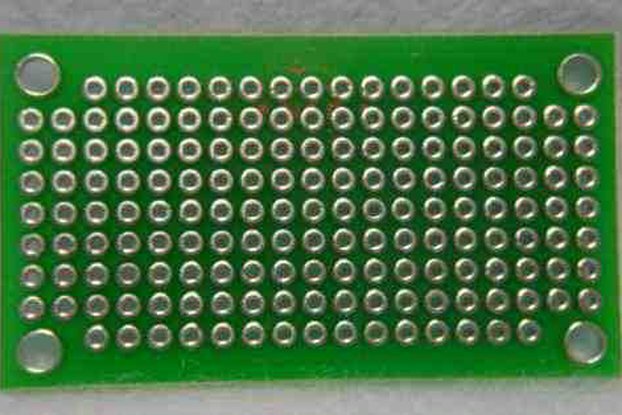 Holes for a 10 way connector at the PCB end have 3v3 and GND connected and 8 connections one side of the 1206 pads. 4 1206 pads top and bottom for SMD capacitors, resistors etc by the main prototyping area to make room for more interesting components. PCB bottom layer underneath the Electron has pads for a SOT-23 SMD transistor or FET with support resistors (base/gate protect and pull down). 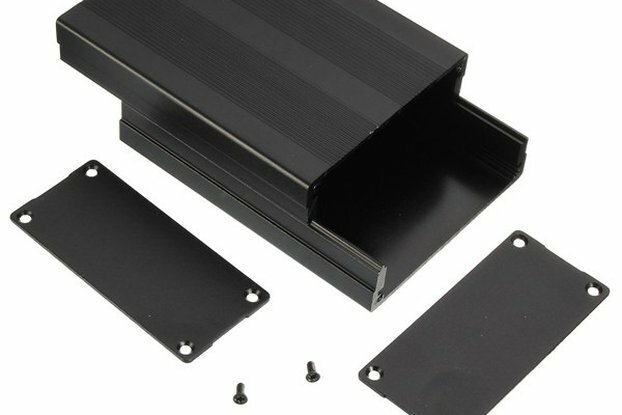 3x mounting holes for M3 machine screws or A2 self tappers. Open Source. 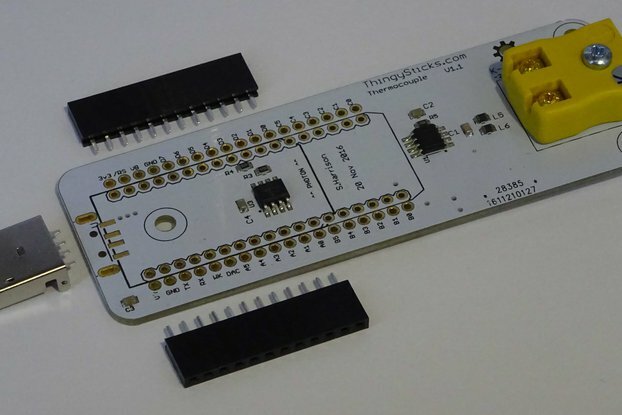 All the design files are available on the ThingySticks website and Github ThingySticks organisation. Please note that this does NOT include an Electron, these need to be purchased separately from Particle.io or a re-seller. Please note buyer is responsible for any tax and handling fees. Faster delivery using air mail. More than happy with the boards. Lets me make real demonstration pieces beyond the bread board and has plenty of space. 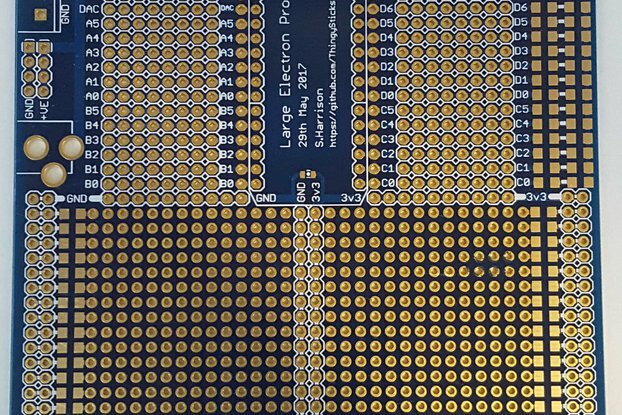 Large Prototype PCB for the Particle Electron . Environment Sensor for the Photon or Electron.